Click HERE to book the South Room. 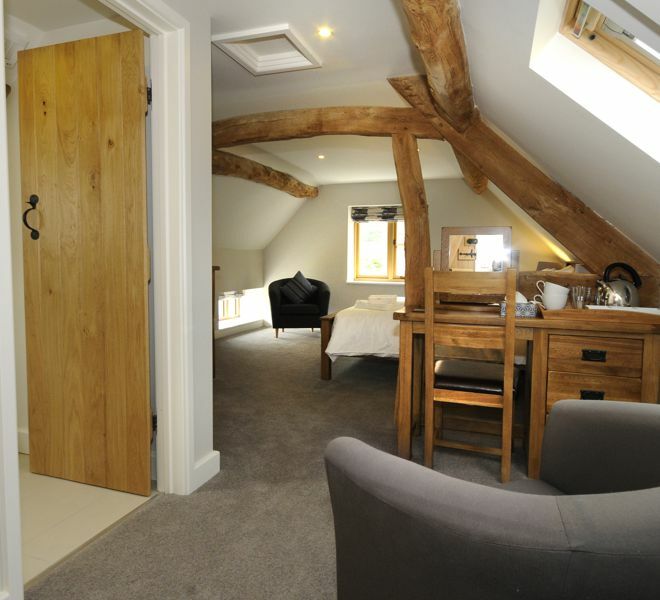 The Coach House provides the perfect place to begin your stay at South House. 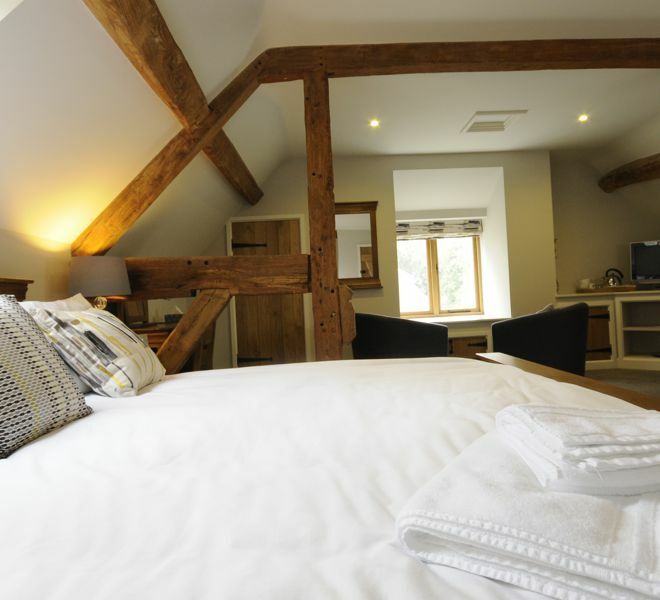 Recently converted, each of the rooms has been carefully restored to ensure the original character and charm is retained. 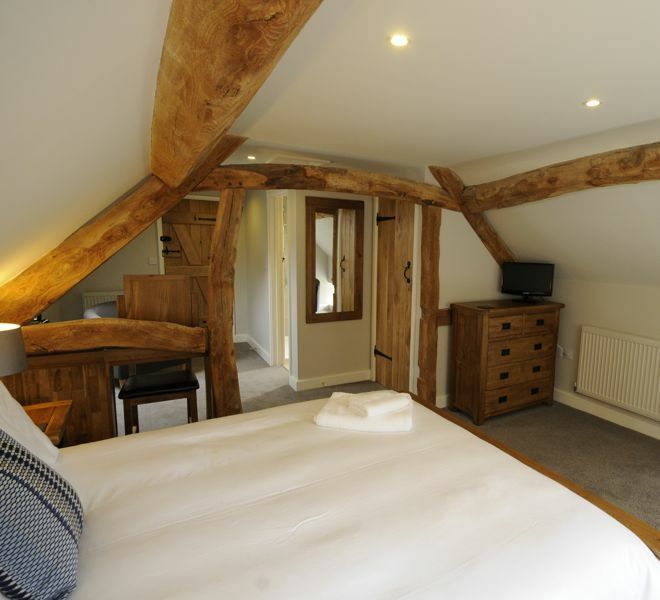 The combination of these old features with the contemporary design of the facilities and stylish en suite shower rooms, we have created unique rooms that ooze comfort and relaxation as soon as you walk through the door. 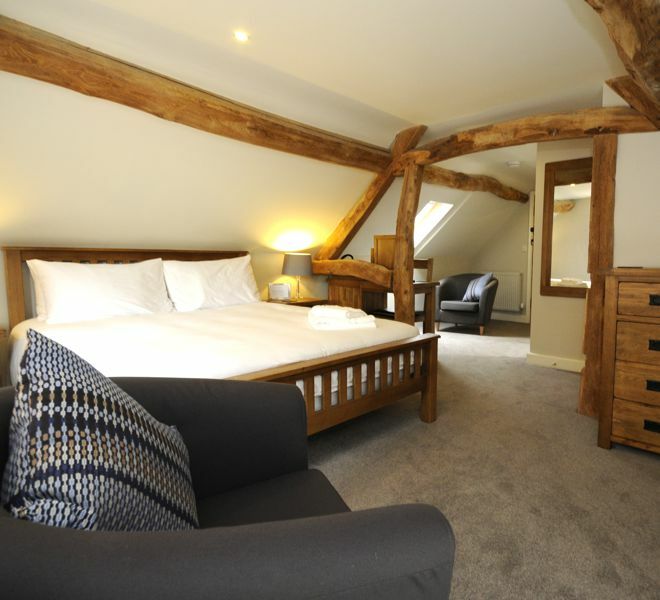 A luxuriously cozy room, framed by original oak beams. 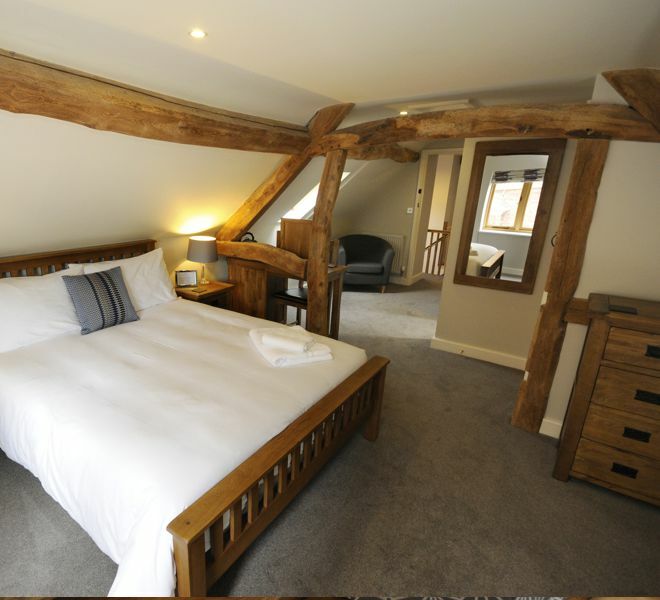 The focal point of the room is the solid oak king-size bed, dressed with high quality crisp white sheets to enhance your comfort. The highlight will be the alpaca fleece bedding; keeping you cool in the summer and warm and cozy in the winter. 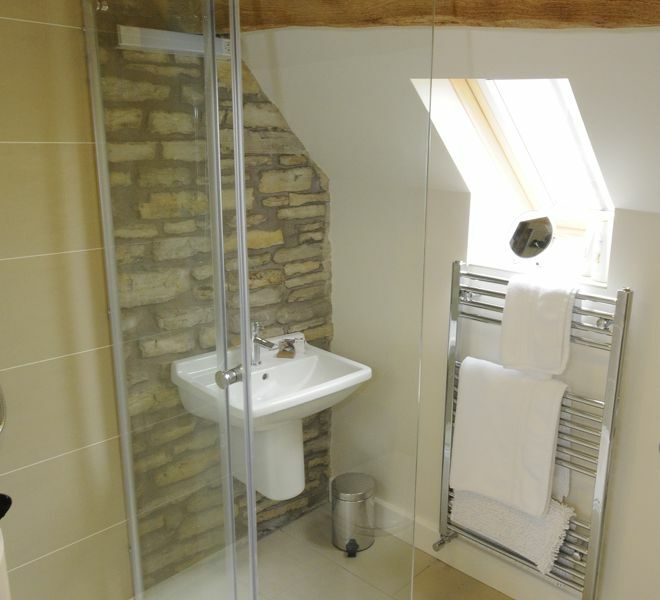 The ensuite shower room includes a walk-in shower and views over the gardens and alpaca fields. Sorry, for all guests convenience we are unable to accept dogs.